Currently, approximately 4,000 new churches are born each week. That number is projected to reach 12,000 per week within three years. It is growing exponentially and on a daily basis! A quick glance at the rate at which the global church is multiplying, tells us that we need to accelerate the process of equipping pastoral leadership at the grassroots. This is especially true within Africa, Asia, and Latin America. Global estimates tell us that over three million pastoral leaders lack basic Biblical training and ministry skills. Today, there are thousands of sheep without a shepherd and multitudes of churches without equipped and maturing pastoral leadership. 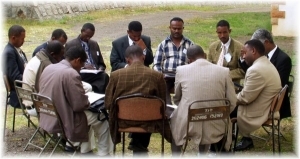 Historically, we have concentrated the training of our ministerial leaders in Bible Institutes, Seminaries and other formal systems of “in-residence-education.” Even when these are effective and bring great blessings, they do not meet the great need due to their high costs and the investment of time, money and geographic relocation. 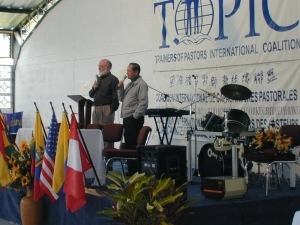 TOPIC is Championing Non-formal Pastoral training, Coaching Pastoral Training Organizations and Connecting Pastoral Trainers who are ministering where the church is growing rapidly – especially in the weaker economies of the world. TOPIC does not compete with pastoral training organizations. Instead, the Coalition believes that the Head of the Church, the Lord Jesus Christ, honors ministries intentionally and invisibly working together with clear and common biblical purpose toward a common task. If this reflects your heart, please let us know. We long to see every church with equipped and maturing pastoral leadership!